Sports Chalet has been one of La Cañada’s biggest businesses. At one point, there were as many as 40 Sports Chalets in California alone. It was especially a staple store for almost all La Cañada citizens. They carried an enormous quantity of clothing, shoes, and various sporting gears. However, due to recent bankruptcy, it shut down back in early 2017. So who’s going to fill the giant shoes that Sports Chalet had left behind in La Cañada? Well, good news, Target will be occupying the building that once was Sports Chalet in the Town Center. However, the new Target will be “tailor-made” for La Cañada, which means it will not be a giant Target like those in Glendale or Eagle Rock, but smaller with items catered towards the population of La Cañada. Its purpose is to reduce the amount of time that citizens in the San Gabriel Valley spend outside of the valley shopping. Students are excited for the new Target in La Cañada. “I think it’s great that a Target is coming to La Cañada. I’m sure it’s going to carry school supplies, which is great since the closest office supplies has always been Office Depot in La Crescenta, which is a ten to fifteen minute drive. It’s going to make a lot of students happy,” says Kyle Lee (11). However, there is some opposition to the Target, as numerous residents near the Town Center have complained about traffic, congestion, and various parking issues. “I live right across the street from Town Center and it sometimes gets really noisy because of Angeles Crest Highway. Adding a Target would create even more noise, which my family and I are not fond of. Also, traffic would be much heavier around the area, especially during the evening and the weekends.” said Andrew Kwon (11). All in all, economically, this new Target will benefit La Cañada tremendously. It will create new job opportunities for students and help local businesses. 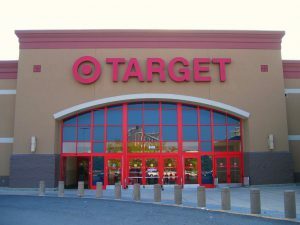 The new Target is planned to carry family apparel and accessories, beauty products, home décor, back-to-school items, and a grocery selection. An on-site CVS pharmacy and a Starbucks coffee shop are also being planned. The shop is planned to open in July 2018.